Still looking for the best UX/UI prototyping tools for Windows PC to transform ideas into visual prototypes to the fullest quickly and easily? Here are the 5 best ones for you. Looking for the Best Prototyping Tool for Windows? Axure RP is a professional and all-in-one windows prototyping tool often recommended and used by most experienced UX designers thanks to its powerful functions, like exporting visualized conditional flow, adding vivid animations and data-driven interactions, and completing a team project, etc. And it can help edit a project to the very super details. However, with a very professional interface, it is also a little bit tricky for people who are not familiar with its over professional features and complicated operations. 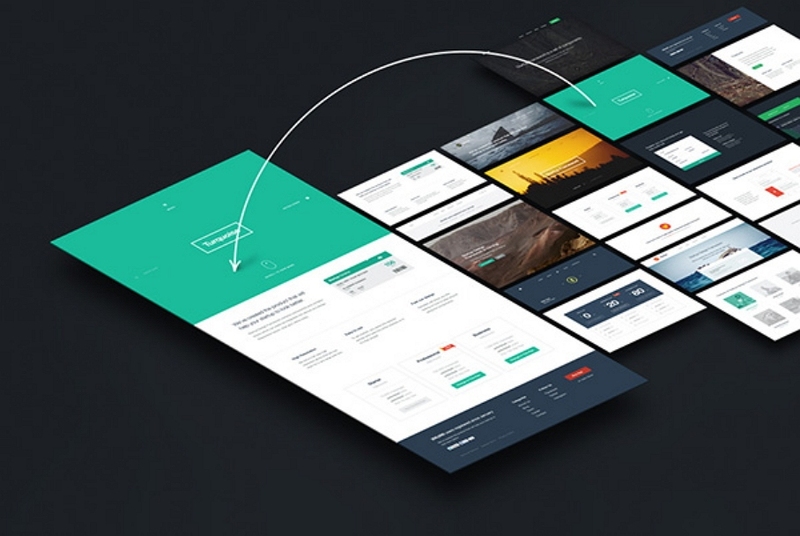 So, it is more suitable for an experienced UX designer, not a beginner, to design and create a sophisticated and professional prototype with Axure. 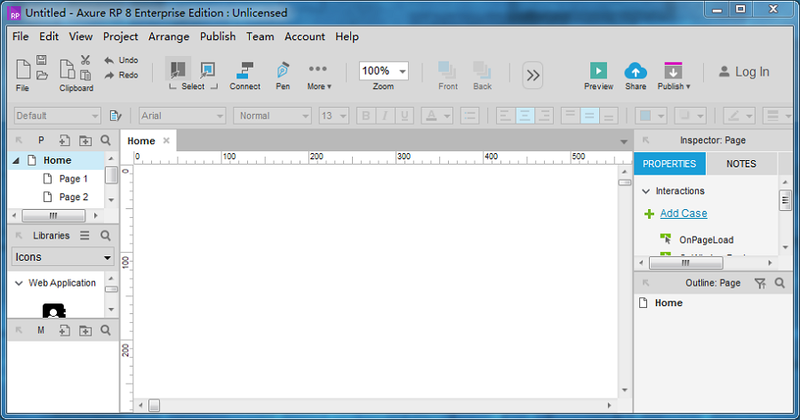 Mockplus is a free, easy and fast prototyping tool which especially offers a windows version for Windows 7, 8, 10 and Vista users. 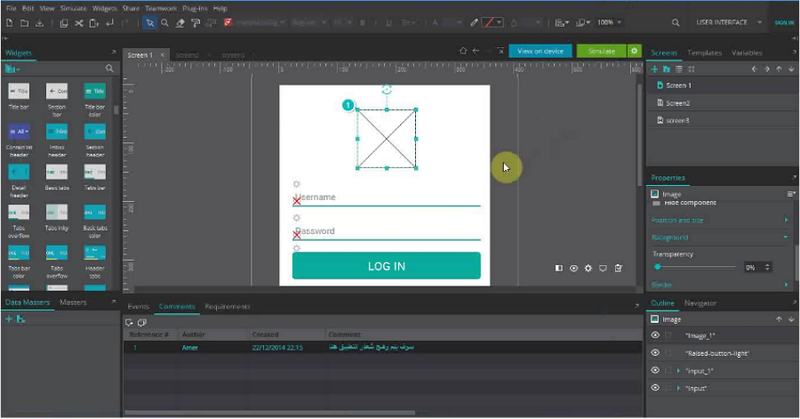 With over 200 components, 3000 icons, 8 previewing and sharing ways, and other powerful functions, this windows version brings every user a much easier and faster experience to create and edit an interactive prototype project. Moreover, recently, its newly released version with Team Collaboration, Repeater, Auto Data Fill, Mind Map Design Mode and far more features, also offer users a much easier, smoother and more pleasant experience. Hence, Mockplus is much better for a beginner or experienced UI/UX designer who wants to transform his ideas into visual, beautiful and interactive prototypes with ease and fast speed. 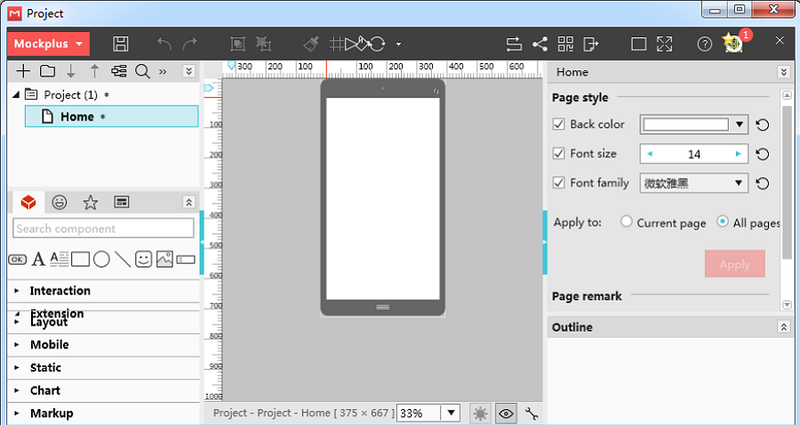 Justinmind is an easy-to-use windows prototyping tool for a mobile phone app. With this desktop tool installed on a Windows PC, a UX/UI designer can freely and easily make a special Android or iOS mobile phone application prototype without any coding. So, this desktop prototyping tool is a nice choice for a designer who wants to edit and finish a mobile phone app prototyping project. 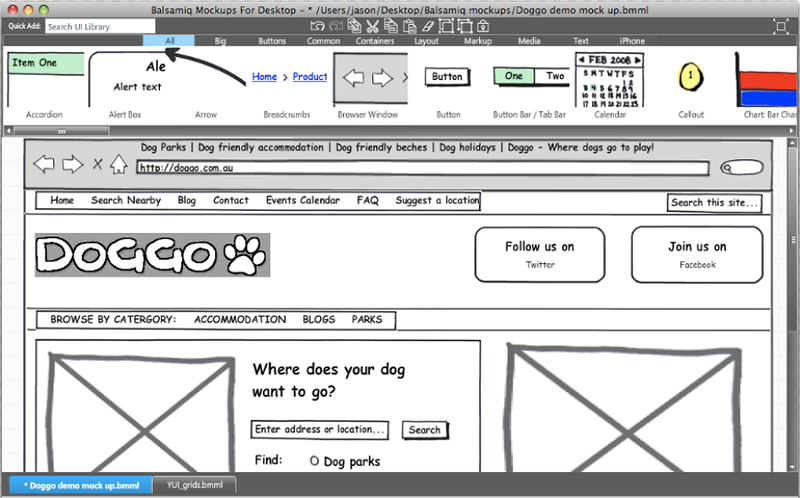 As a simple and fast wireframing tool, Balsamiq allows UX/UI designers to reproduce the experiences ofsketching on a whiteboard by using a computer, and its Quick Add function also allows you to drag and drop acomponent with ease. However, it is much better for a designer to sketch a draft out according to his flashing ideas quickly, not making a vivid, beautiful and pleasant prototyping project. Unlike all prototyping tools mentioned above, Proto.io is a cloud-based online tool and can help complete all prototyping processes online without any downloading and installing. And, in this aspect, it is workable both on a Windows and Mac OS. If you do have such needs and do not want to download or install any software on your Windows 7/8/10 computer/desktop, this also could be worth trying. Therefore, if you are a beginner who has learned UX/UI design for a really short time, while trying to choose a proper windows prototyping tool, the easy and fast Mockplus would be better for you. If you are an experienced UI/UX designer, Axure or Mockplus would be a good choice. If you are trying to complete a special mobile phone app prototype, you can give Justinmind a chance. If you need to catch your flashing ideas and want to draw the prototype draft quickly, Balsamiq would offer you a pleasant experience. 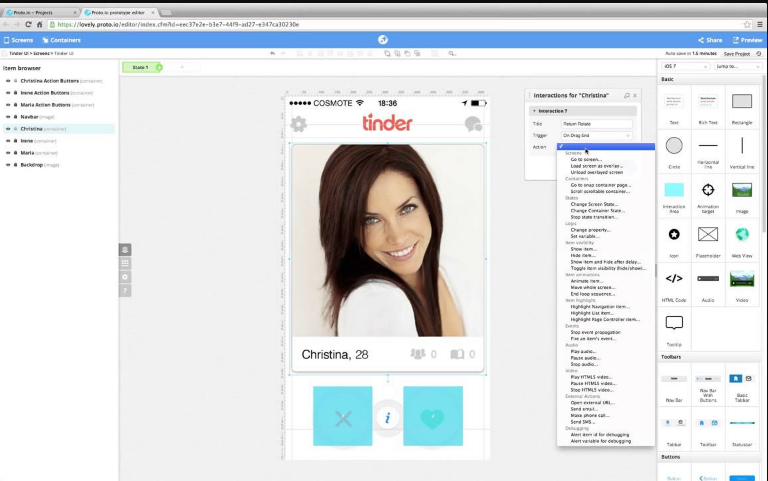 Of course, if you only want to complete designing and editing a prototyping project online, Proto.io would be nice. In short, hope you can find the best one for your windows computer after reading this article.